Art For Charity is a volunteer-based non-profit that raises funds for your (and my!) favorite charities through the sale of artistic apparel + home decor. 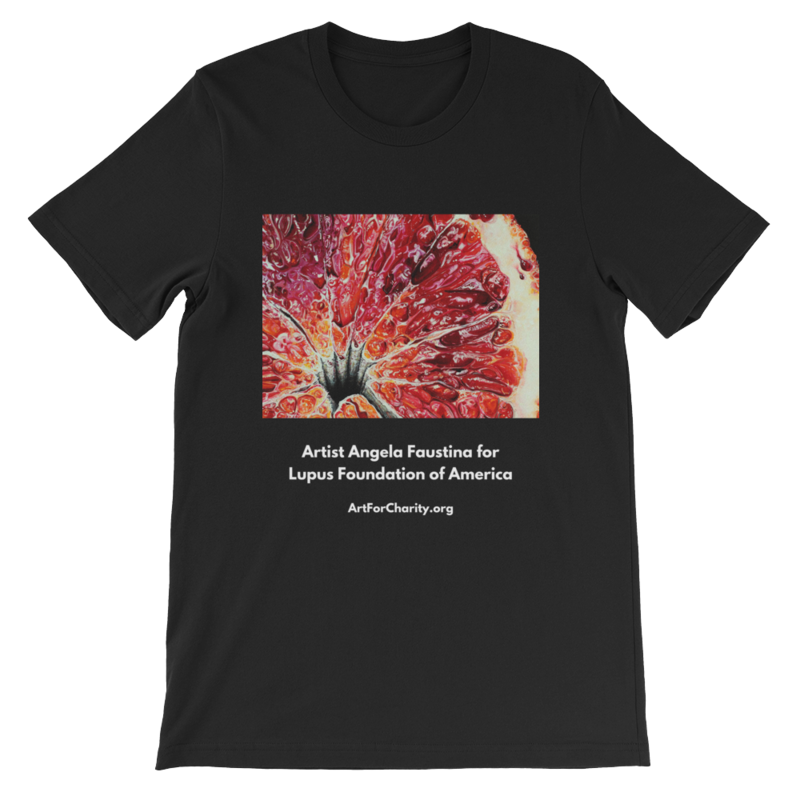 All profits from the sale of my Blood Orange IV oil painting merchandise go to charity – 50% to my chosen charity, Lupus Foundation of America, and the other 50% goes to your chosen charity. After years of countless doctors, blood tests, and medical procedures, I was finally diagnosed with the autoimmune disease systemic lupus erythematosus in 2011. Fighting this disease will continue to be a life-long battle. The non-profit Lupus Foundation of America greatly helped me and my family through the diagnosis and management of my lupus. I was excited to work with Art for Charity because it was started by kind-hearted, compassionate, and hardworking people. I also love that every aspect of this non-profit organization is done by volunteers. 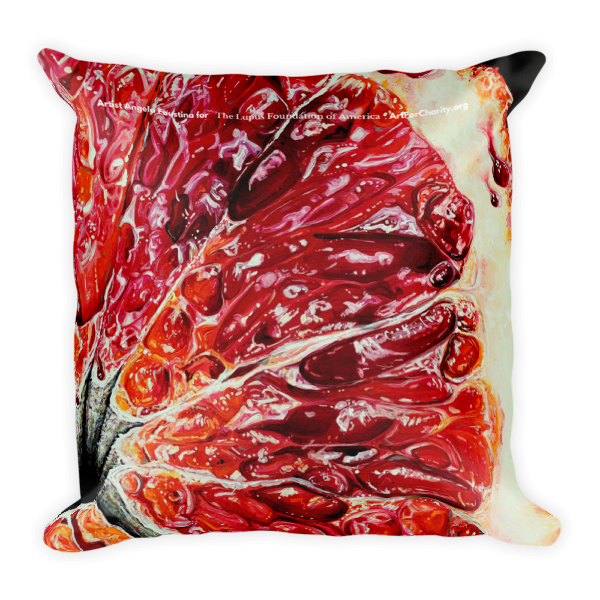 Helping out is simple: Pick out some Blood Orange IV t-shirts and pillows for you and your loved ones at ArtForCharity.org. When you buy a product, you can select where 50% of the profits go. The other 50% will go to the Lupus Foundation of America. At the end of the next month, AFC will send a check to the one you select. That’s it. providing support to individuals living with lupus and their loved ones. I hope that someday, with the help of people like you, there will be advances in the diagnosis, treatment, and cure for lupus. For more info about Art for Charity or to get involved, please click here. As always, thank you for your support of Lupus Foundation of America and for making the world a better place.